"Thanks for a most entertaining evening and a wicked meal!!! It helped to make our wedding special!! ".....We were very impressed that Brownie was able to get all 2400 people through the buffet including dessert in one & half hours while still maintaining a high standard of food and presentation. Our customers the Vintage Car Club of New Zealand were very pleased with the meal and service they received from Brownie's Spit Spectacular. 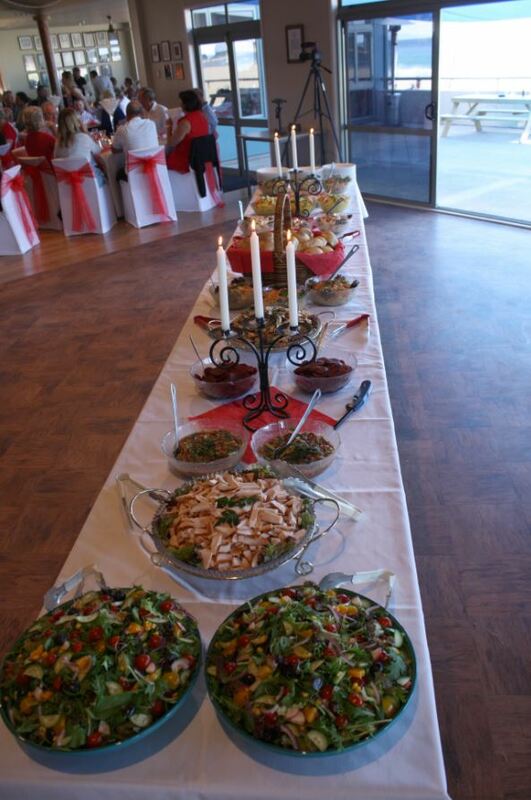 The Mystery Creek Events Centre has no problem recommending Brownie's Spit Spectacular for all events big and small. "Thanks for a most entertaining evening and a wicked meal!!! It helped to make our wedding special!! "Thank you very much for all your enthusiasm and help at the Nalco Christmas function. The food was superb and we have had lots of excellent feedback from staff about the food. (And we have a freezer full of delicious sliced beef. ) Thank you to both of you and your staff for an excellent level of service and efficiency. You helped make the function an enormous success and to make my job so much easier. I would have no hesitation in using you as caterers for any further function. "A brief note to thank you and your team for a superb job done at our Growers Christmas Function on Wednesday. The food was exceptional in quality, taste and presentation as well as value. The way in which you catered for such large numbers was also very impressive and no doubt due to your attention to detail....."
Fresh Rock Oysters on Ice – P.O.A. Large Shrimps in Seafood Sauce – P.O.A. Marianated and Smoked Mussels – $3.95 per head incl. Sliced Platters Leg Ham – $3.95 per head incl. Smoked Boneless Chicken Breasts – $3.95 per head incl.